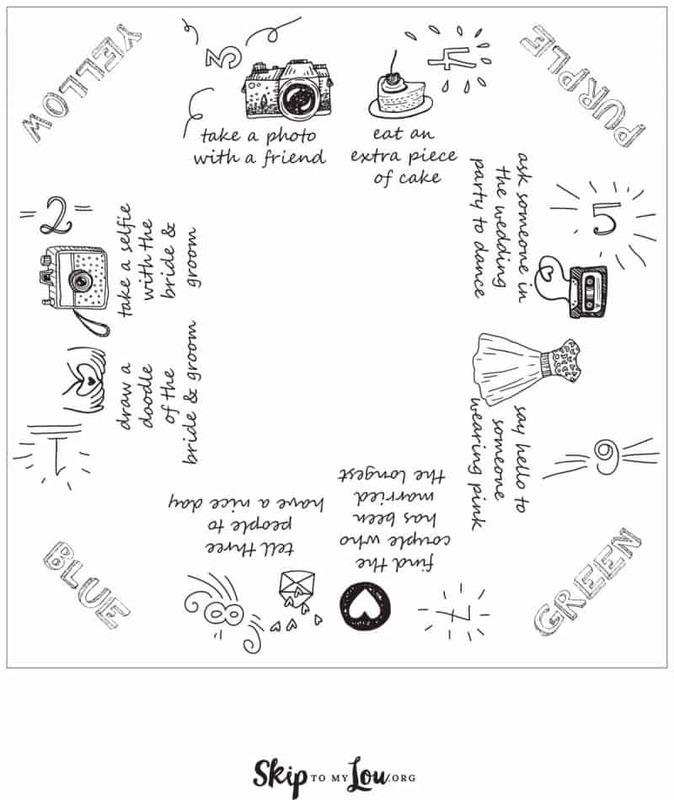 Printable paper fortune teller to keep the kids busy at your wedding! Keeping the kids entertained and having a good time at a wedding can be challenging. 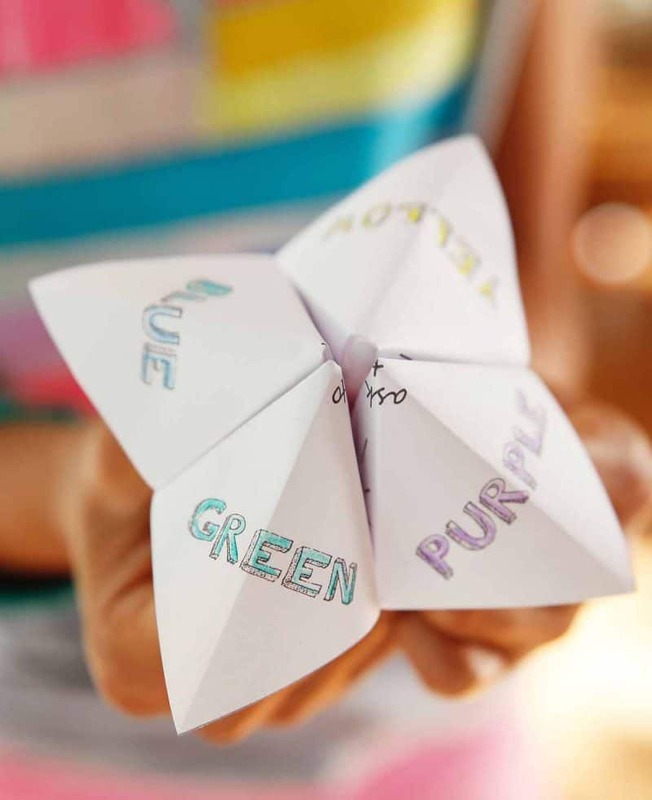 Learn how to make a paper fortune teller for a fun kids wedding activity. 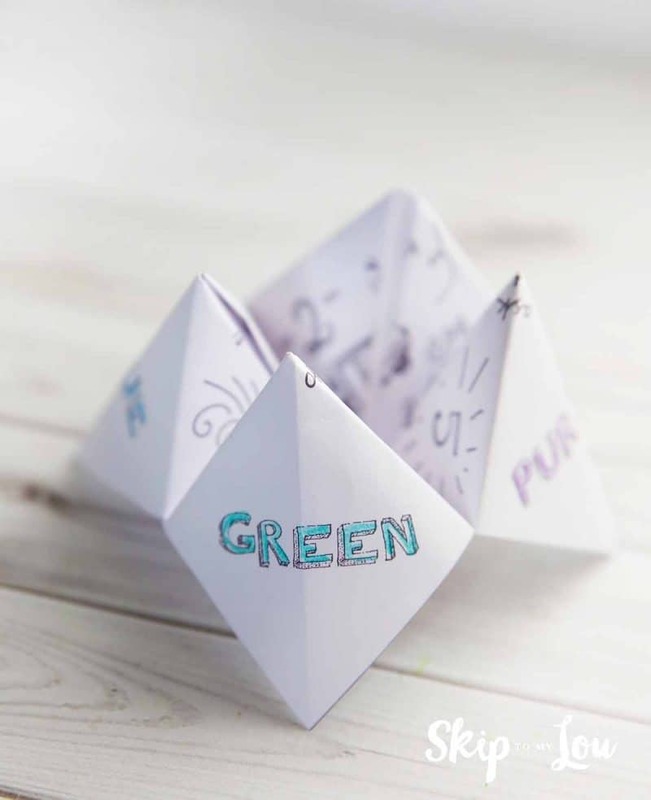 This printable paper fortune teller is full of activities to keep the kids busy and having fun! The best part is the activities get them interacting with the wedding party and guests. They are sure to feel a part of the celebration! Download the file and print on regular copy paper. There are three files, a wedding themed fortune teller, a blank version and the folding instructions. 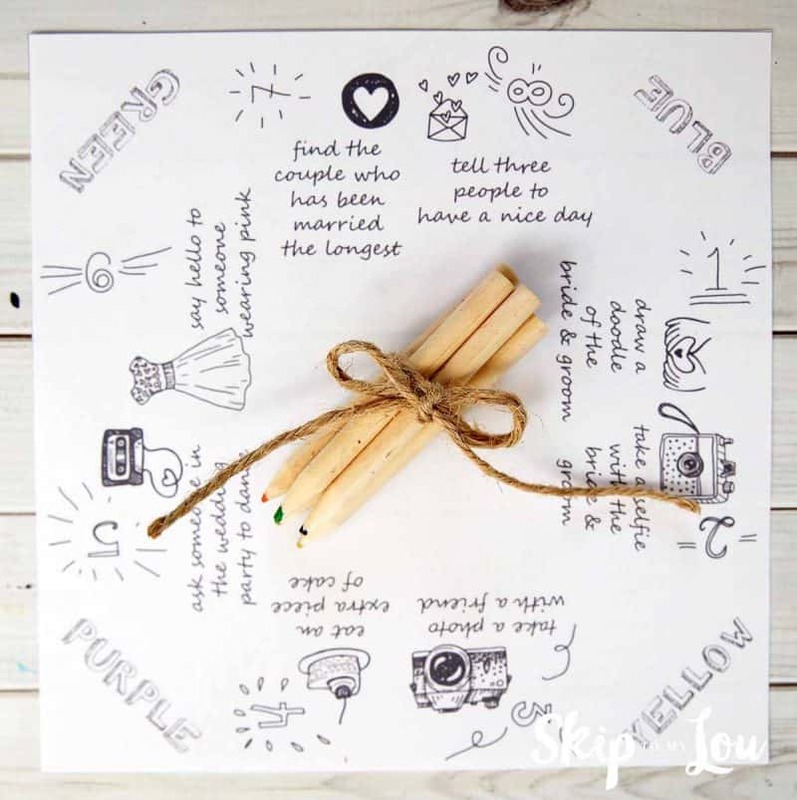 The wedding paper fortune teller has a list of kids wedding activities to keep the busy. This one you can make your own list of activities tailored to you event, or let the kids make up activities for each other. 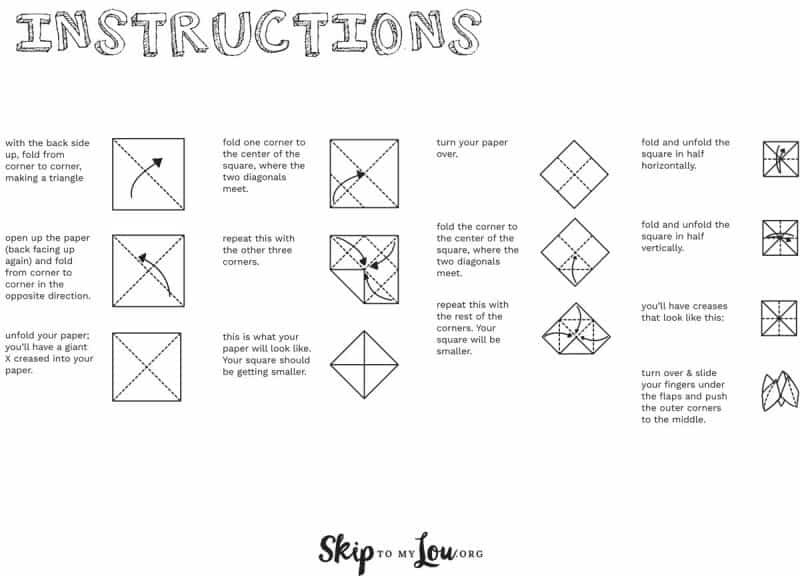 Also print this sheet of paper folding instructions so the children know what to do. Have a friend select a color and a direction to pull the fortune teller. 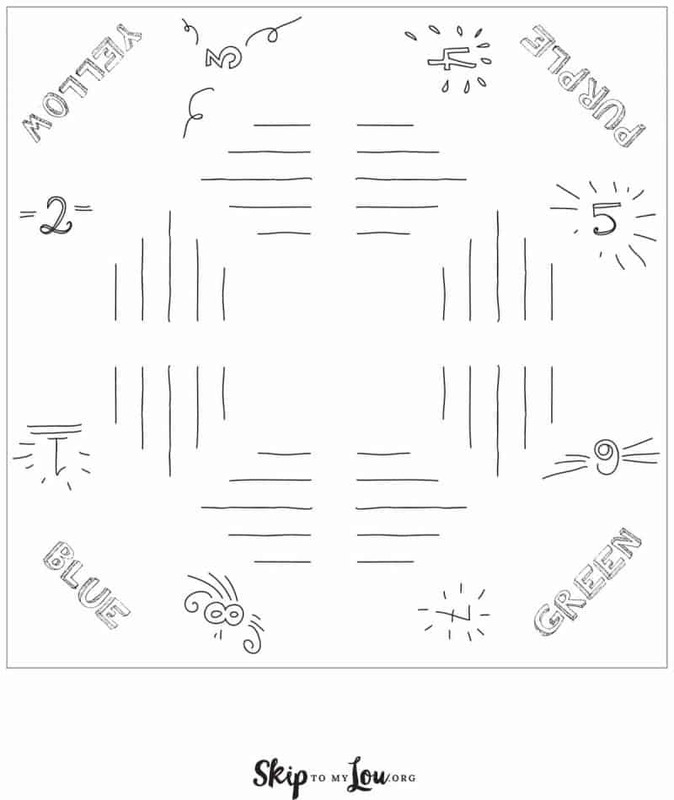 Spell out the color while pulling the fortune teller opposite directions with each letter. After spelling out the color, have someone choose a number and a direction. 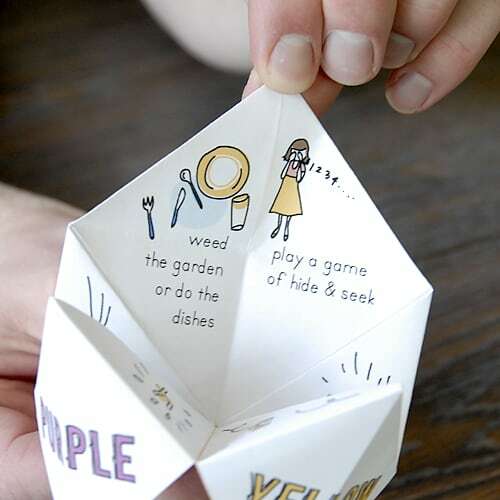 These fortune tellers are super fun. 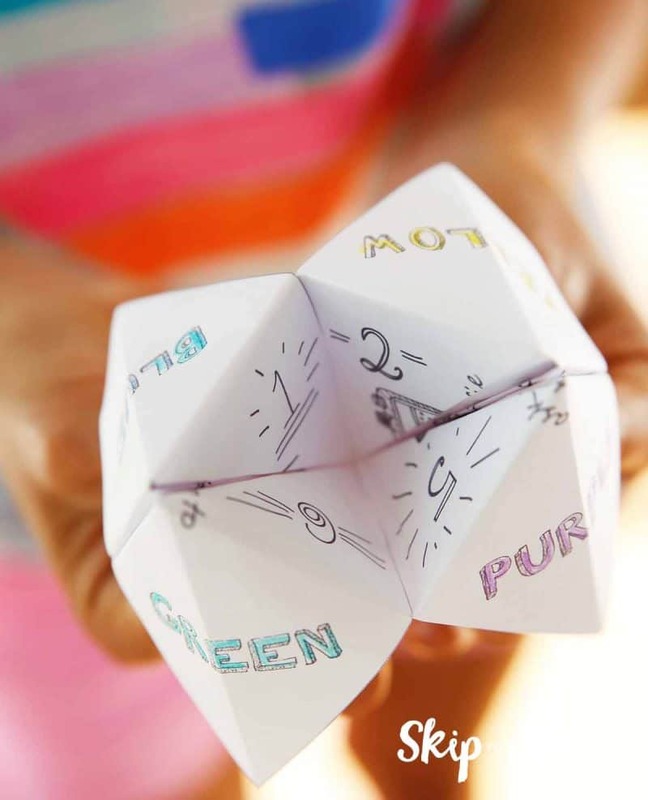 You might like this summer activity paper fortune teller! You’ll even get a few chores done around the house with this version!